Stephan Peron is a Managing Director with VMG Health and has over 23 years of transaction advisory experience with the last 15 years dedicated to the healthcare industry. His team oversees business valuations and advisory services for mergers, acquisitions, joint ventures, and divestitures. His team also leads VMG’s transaction advisory / buy-side & sell-side advisory services. He has focused in the area of mergers and acquisitions, including business valuations, financial due diligence, quality of earnings & revenue, and financial healthcare consulting. 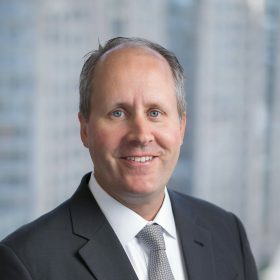 His clients include private equity firms, hospital/health systems, ancillary service management companies, provider practices and other healthcare entities. He has dedicated much of his career to conducting valuations and buy-side / sell-side due diligence with deal sizes from $1 million to more than $1 billion. Stephan’s experience in the complex healthcare market allows him to provide specific healthcare expertise in business valuations, carve-out transactions, and due diligence services inclusive of healthcare sub-industry financial consulting. Prior to joining VMG Health, Mr. Peron worked for Accenture, Inc. in the Corporate Transaction Services Group. The group supported Accenture in all major financial transactions including equity investments, outsourcing contracts, and offshore transactions. He worked with clients in multiple industries across the United States and globally including working on engagements in France, England, and Canada. He also analyzed business plans and performed valuations on both public and private companies. Prior to Accenture, Mr. Peron worked for Signature Home Health Co. as a staff accountant and supported the western division based out of Arizona. His work included internal compliance audits and financial analysis. While attending school he interned at Barton Creek Home Health as an accountant. Mr. Peron graduated from The University of Texas of Austin and holds a BBS in Accounting from the McCombs School of Business. He is a Certified Valuation Analyst (CVA)..